Investors have focused their attention on a range of assets with sales reaching past the $200 million mark in the past week. It is a reflection on the low cost of borrowing and demand for bricks and mortar over cash in the bank, according to the agents on the deals. A Hong Kong-based private investor has paid about $120 million for the office block at 400 Kent Street, sold by Credit Suisse Asset Management, on a tight yield of 4.5 per cent. The major tenant, Central Queensland University, recently committed to a 14.7-year lease tenure at the 11-storey tower. Mr Hansen said there is interest in Sydney CBD office assets from a broad spectrum of global investors, especially those based in Hong Kong and Macau who are extremely active in the Sydney market and pursuing investments interstate. ''In addition, we are currently seeing a renewed interest from Singaporean investors targeting investment assets to diversify their income streams,'' Mr Hansen said. According to Cushman & Wakefield research, Asian investment volumes during the third quarter of 2018 have been led by M&G Asia Fund’s purchase of Brisbane’s 80 Ann Street for $418 million and Japanese investment into Daibiru’s purchase of Sydney’s 275 George Street for $240 million. 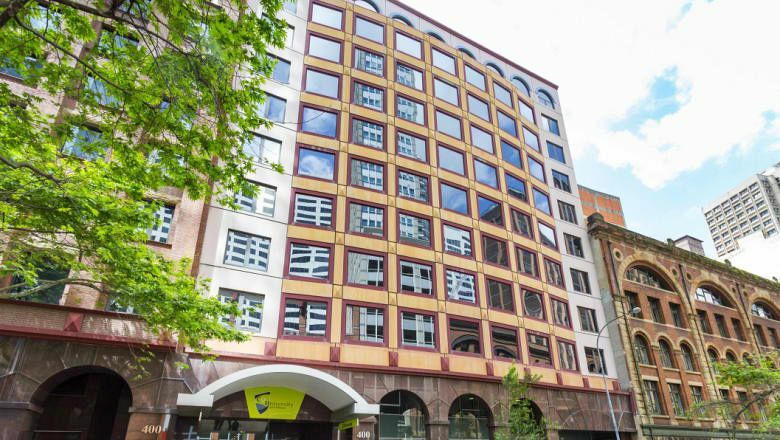 In addition, Hong Kong’s KHI Holdings acquired 277 William Street, Melbourne, for $93.9 million. Mr Butler added that beyond Asia, there is international capital targeting Australian assets. ''European investors remain active in the market with a more deals set to be announced this year, while North American investors are targeting scale, as evidenced by the battle over the Investa Office Fund,'' Mr Butler said. In another sale, MPG Funds Management has bought the Bunnings Warehouse-anchored centre in Port Macquarie, on the NSW Central Coast, for $44.65 million, on a blended yield of 5.64 per cent. James Wilson, national director of Colliers International’s NSW retail investment services business, who advised on the off-market sale, said upon completion, there will be new 18,000 sq m Bunnings Warehouse supported by an additional 2400 sq m, large format retail space. ''Metropolitan and regionally located retail investments have continued to set benchmark levels due to NSW having a distinct lack of supply, with less than $100 million worth of freestanding investments publicly marketed year to date in 2018,'' Mr Wilson said. In Queensland, the sale of the Novotel Twin Waters resort by Abacus Property to the Melbourne-based Shakespeare Property Group has been finalised for $88.5 million. It was in a closed-end fund which is to be wound up with funds of between $50 and $55 million to be used to reduce debt in the short term. In addition, Abacus has sold an adjacent, separate parcel of land for $11 million, due for settlement in October 2019.